Like many writers, I follow Sonia Marsh's Gutsy Indie Publishers Facebook page. I read her entertaining and poignant memoir, Freeways to Flip-Flops. I contributed to her first My Gutsy Story anthology. I met Sonia last spring after she offered an author-entrepreneur workshop for the Women's Writing Circle. I picked Sonia up on a May evening in Chester Springs from Philadelphia International Airport. I hadn't anticipated how energetic, beautiful and honest she would be. She opened up her life . . . her journey as a wife, a mother and a memoir writer . . . with candor. If you want to be semi-successful as an indie (self-published) author, you may want to think about creating a brand that can help you make a living in other areas. · You write at least 6 great books. Why 6? Because your royalties start to accumulate, and six seems to be the breaking point at which you bring in sufficient revenue. · You start side businesses related to your writing like coaching, editing, public speaking, Webinars, Workshops, helping other businesses with branding and social media. · You become an “expert” in your field. Find your passion, focus on a “niche” market and target your audience. Read Dan Poynter’s advice on “How to Find Your Customers” on my website. So much has happened in my life since I wrote the first post on Susan’s blog. I feel like I’m cramming ten years into one. Let me summarize by stating the highlights, and yes, even my divorce is a highlight. 14. 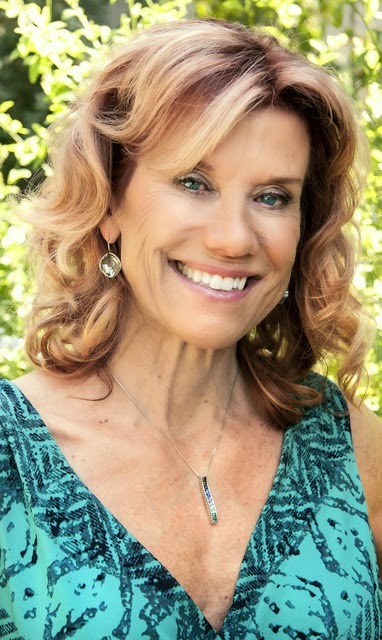 Got nominated for the “Gutsy Gals Inspire Me” Awards in Santa Barbara, CA. So quite a few new things have happened since Susan Weidener, published my first post on her site. I’d like to share my next adventure since I’m divorcing after a 28-year marriage. I truly hope to experience another major life-changing adventure now that I’m divorcing and my children are 20, 24 and 27. My three sons are still single, and I have a passion to help women start a business in a 3rd world country. With my background, I know this is the right time for me to do something for others, and realize that this will also transform me. I want to write another memoir, and have trademarked the Gutsy Living® brand. Please keep in touch as I plan to interview “Gutsy” women in other parts of the world and both film them and write about them. Please follow me on my website as I disclose more news about my future and the Peace Corps, or other adventures. 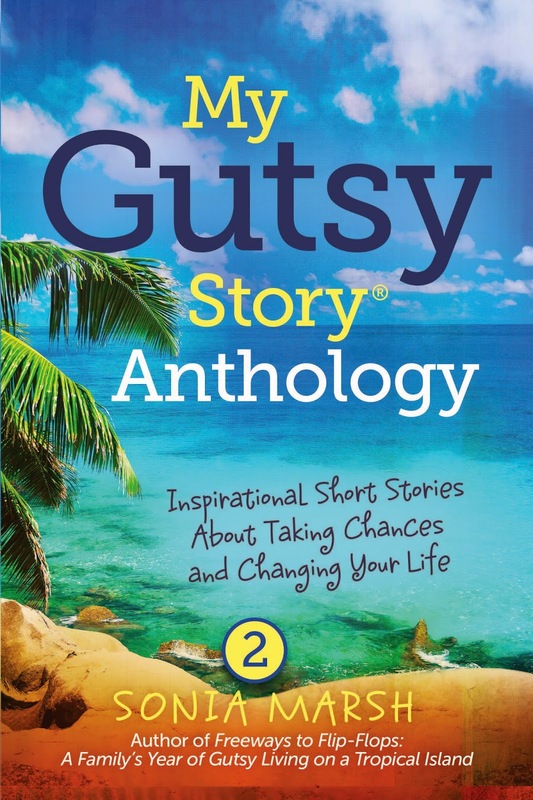 I also hope you submit to the 2015 “My Gutsy Story®” Anthology publication. The submission guidelines are here. Any questions you have for me are welcome. So please ask, and I shall reply. Sonia Marsh is a “Gutsy” woman who can pack her carry-on and move to another country in one day. She’s an award-winning author, blogger, unconventional thinker and world traveler with a passion for tropical islands. Sonia likes to inspire people to get out of their comfort zone and take a risk. She says everyone has a “My Gutsy Story®”; some just need a little help to uncover theirs. Her story, told in her travel memoir Freeways to Flip-Flops: A Family’s Year of Gutsy Living on a Tropical Island, is about chucking it all and uprooting her family to reconnect on an island in Belize. Her memoir received the 2014 Gold Medal at the Readers’ Favorite Awards.